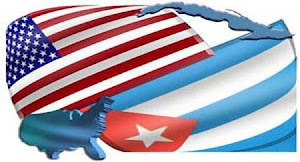 This weekend March 15, 2014, a very important meeting will take place in Miami, FL where Cuban Americans For Engagement CAFE, will lead a conference of individuals from various groups and the Cuban American moderate community with the purpose to develop ways to improve U.S. Cuba relations. This translates actually to the lifting of travel restrictions and an end to the insane embargo that just about everyone agrees should end. However, the hardline in Miami and Union City disagrees and actually controls these issues . The challenge will be how to get there. For more than ten years there have been meetings like the one that is about to take place. With much fanfare and excitement, the community seemingly gets together, but then the follow through has been paltry and segregated. The results speak for themselves. The status quo remains the same. For as many people who will attend, thousands of others and the media will be watching to see just how serious this effort is going to be. During next weekend's meeting, participants must choose to be different than other past conferences. If there is going to be a real campaign to change U.S. Cuba relations, those attending must leave that conference united in a single purpose and focused on taking genuine committed action to actually achieve what everyone says they want. Lifting the travel restrictions will require an Act of Congress. Lifting the embargo will require an Act of Congress. President Obama has done whatever he is going to do on Cuba. There is no political justification yet for the Administration to do more. No poll, petition, email, or phone call can make that happen unless we also have the voters and politicians elected to make that a reality. The dark and true reality is the reverse. There is a voting bloc that elects politicians and contributes to keep the restrictions and embargo in place. While the pro-embargo anti U.S. Cuba engagement side is annoyed by the Atlantic Council's recent poll showing overwhelming support to end the embargo, it still holds the cards and has the Congressional politicians to hold the policy in place. They will only be concerned by one thing - how serious this conference will be and will it result in raising money and organizing votes to change our policies. U.S. Cuba relations will go nowhere unless the pro-embargo constituency is ultimately challenged and defeated at the ballot box. NGOs, think tanks, and academics writing from ivory towers will not change this political reality either nor can they provide the leadership required to enact political change. In this election year, such a conference's effectiveness ultimately can only be measured by how many voters it will register in this election cycle and turnout to vote. How can this group actually influence and win elections? That is the challenge before this constituency. Moreover, the critical question on how many political donors such a conference can create is one to pursue since everyone who is either a Legal Permanent Resident or a U.S. Citizen can legally make a political contribution under Federal election law. With more than 400,000 traveling to Cuba legally each year, why aren't there at least as many political contributions being made? With that many and more Americans and Cuban Americans who favor unrestricted travel to Cuba, a political contribution of the equivalent of a night out at the movies $20-$30 per person can actually add up to some serious political capital in Washington DC, especially in an election year. Everyone gets to be politically influential in such a scenario. Who are going to unite and lead this community to electoral victory? May Cuban Americans and Americans who think alike unite like never before in a common purpose to bring an end to failed policies and reconcile two countries long divided for far too long. Whatever aspirations we may have for Cuba, nothing good has come or will come from our politics of isolation and revenge. Democracy has no roots in travel restrictions or an embargo. Time to play the game to win. It's in your hands Miami voters. We have a Congresswoman for Tampa who has spoken out against the embargo and is very popular and will be re-elected Hon. Kathy Castor. Dear Maura, excellent points, which is why the U.S.Cuba Now Political Action Committee, www.uscubanowpac.com would like to raise $10,000 (Ten Thousand Dollars) which is the maximum contribution it can give to Rep. Kathy Castor's re-election campaign and make sure she stays in office and empowered to fight the pro-embargo hardliners who have strangled U.S. Cuba relations for far too long. We need to elect politicians who have clear positions in support of lifting the travel restrictions altogether and end the embargo. We send a clear political message when we pool our contributions under that message, the same way conversely the pro-embargo side does with its donations. Since Legal Permanent Residents of the U.S., Green card holders, and U.S. Citizens can contribute, all anyone has to do is visit the PAC website and make a donation of any amount up to $5000.00 If everyone who supports U.S. Cuba policy change will contribute something, there will be the resources to take this fight to the ballot box and win.